Inlayed picture frames made of capiz shell bring stylish solutions to any space. Perfectly use as ornament to your wall to create a display. Inlayed picture frame made of capiz shell is a decorative edging for a picture, such as a painting or photograph, intended to enhance it, make it easier to display or protect it. This picture frame made of capiz seashells is very much available in any shapes, designs and color. We also accepts customers designs at a very cost effective price. Carrying with a high quality for export worldwide. 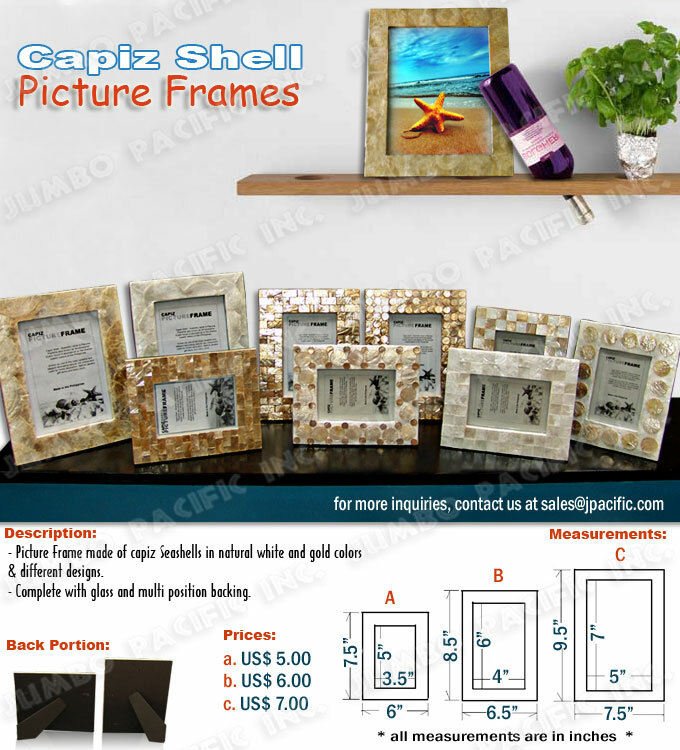 And purely handmade & handcrafted capiz picture frames by the finest shell inlay maker here in the Philippines. 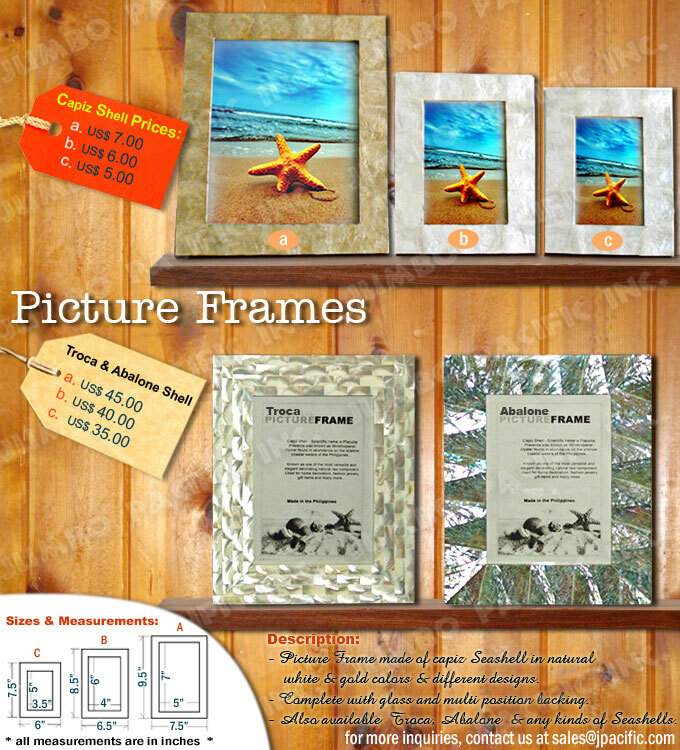 For more Picture Frames made of Shells or Seashells: Click Here!